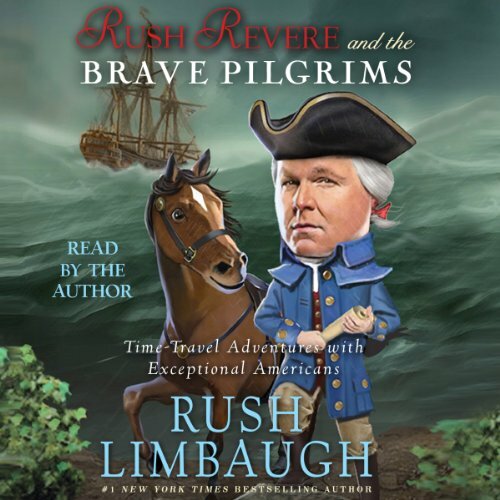 By Debbie ReeseRush Limbaugh's book, Rush Revere and the Brave Pilgrims is a best seller. That status means he is on the Children's Book Council's (CBC) list of contenders for Author of the Year. People in children's literature were shocked when they saw his name on the list. Some suggested that the best selling status was not legitimate. The CBC responded with an open letter explaining why Limbaugh is on the list:The Author of the Year and Illustrator of the Year finalists are determined solely based on titles’ performances on the bestseller lists--all titles in those categories are listed as a result of this protocol. Some of you have voiced concerns over the selection of finalists from bestseller lists, which you feel are potentially-manipulable indications of the success of a title. We can take this into consideration going forward, but cannot change our procedure for selecting finalists after the fact.As for the book itself:Of interest to me is the character, Freedom, in Limbaugh's book. Mr. Revere loves her name. She has long black hair. One day she wears a blue feather, the next day she wears a yellow one. Other students don't like her, but Mr. Revere is intrigued by her. She has dark eyes and a determined stare. She speaks "from somewhere deep within." From her grandfather, she learned how to track animals. She and Mr. Revere's horse, Liberty, can read each other's minds. Liberty can also talk, which I gather from reviews, is what children like about the book. Freedom explains that he must be a spirit animal, that "there is an Indian legend about animals that can talk to humans." She wondered if Mr. Revere was "a great shaman" when she saw Revere and Liberty enter the time travel portal. What is behind Limbaugh's creation of a Native American girl named Freedom? Later in the story, we learn that her mother (we never learn of a specific tribe for Freedom or her mother) named her Freedom because she was born on the fourth of July. Let's think about that for a minute. There are obvious factual errors in the book related to Limbaugh's presentation of slavery. With his character, Freedom, we see how fiction can be manipulated in the service of a particular ideology. Limbaugh is creating a modern day Native girl as someone who holds the same views as he does. Packed into, and around, his Native character are many stereotypes of Native peoples. Does he cast her in that way so that it isn't only White people who view history as he does? I think so. He casts Squanto and Samoset that way, too.Some reviews from Amazon.com:This monstrosity of a book is nothing but Rush Limbaugh portraying himself and his talking horse, Liberty, as American heroes in this sniveling, biased, and corny book that purposely uses simple language so "Rush Revere" can do his best to create his own army of Super-Republicans out of easily influential 4th-7th Graders, and to train them to his personal beliefs. If you want to allow your kids to form their own opinions with truthful facts and accurate depictions of history, then do not buy this book. It is appalling this could be published as a legitimate book. Talk about propaganda! This book is like training a child to be a robot and have no thoughts of their own. Please save the next generation from the brand of manipulative, deceitful (even hateful) propaganda Rush Limbaugh sells. The first and last book by Limbaugh that I will read. He neglects to share what terrible things were done to the Native Americans. There land was stolen from them, there population was diminished by disease and being slaughtered. They were robbed of their lands and freedom. I guess that point is not important. Historically, it was inaccurate, which really bothers me, as the premise of the book is to bring history to life. It is also full of jabs towards a certain political party that are completely unnecessary and have nothing to do with the story in the book. I am really disappointed with this book. Definitely not one I will be sharing with my children. Yes, we certainly want a man who flunked out of college to teach history to American children. Why bother hiring qualified teachers in schools?Comment: For more on the subject, see Limbaugh Lies About Thanksgiving and Limbaugh: Indians = "Redskins," "Clowns." I read an interview with Dr. Reese on Colorlines.com and she also was shocked that this book was on the CBC's list for book of the year. Like the CBC wrote it is based on sales. Dr. Reese did a little digging ans discovered that Limbaugh had "bought" 15,000 of his own book to give to schools. Would this be fair or even legitimate? ?